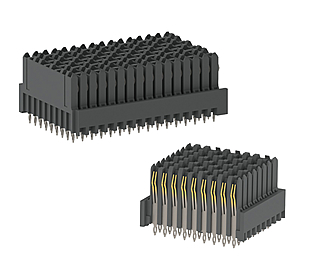 Velox® is a modular connector system for high-speed backplane applications. It was specifically designed for markets with high performance requirements.The Velox® product series meets the demanding requirements of VITA46 systems. Four different types are available, and customized assembly is possible. This gives developers more flexibility when designing circuit board layouts. In addition, a 1.27-µm gold surface ensures the durability of the system.